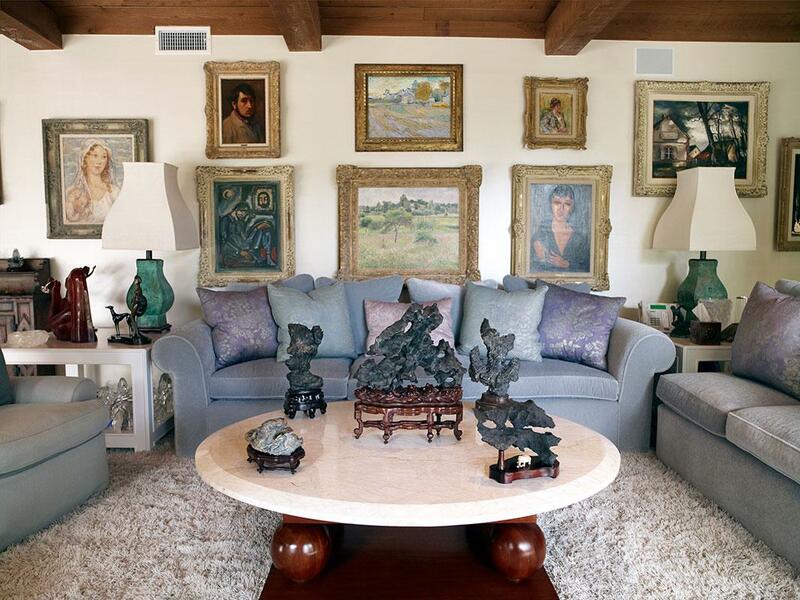 Inside Elizabeth Taylor’s Bel-Air home, 700 Nimes Road. Living Room North View, 2010–11. Catherine Opie never got to meet Elizabeth Taylor. The actress passed away three months into Opie’s six-month portrait project of Taylor’s Bel-Air home, located at 700 Nimes Road, what Opie ultimately named the book of the work, published by Prestel. Opie and Taylor’s shared accountant put Opie in touch with Taylor’s longtime executive assistant, Tim Mendelson. 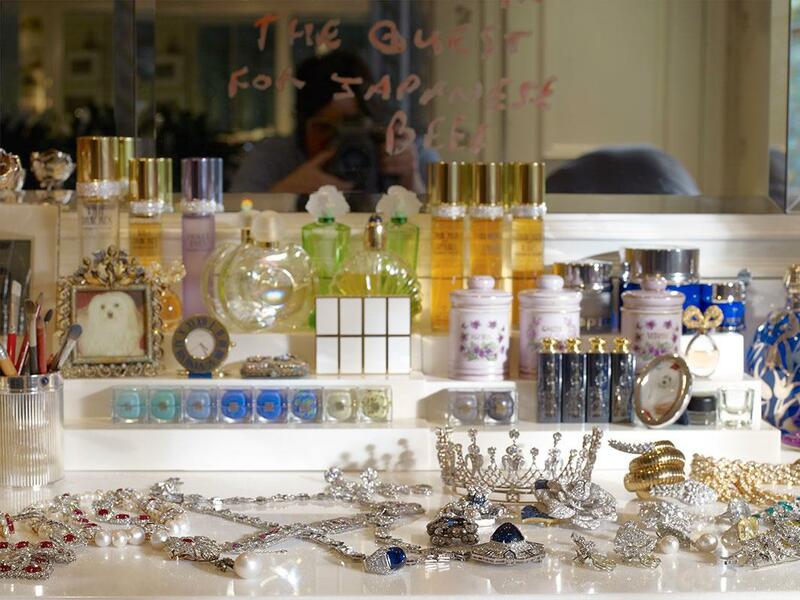 She wanted to document the Hollywood legend’s home in the same vein as William Eggleston had done at Graceland. Imagining is one thing, walking into Taylor’s home for the first time was something else. She approached the work thinking more about the relationship the textures and colors had within the photograph, rather than documenting all of the objects as if she were creating a catalog. 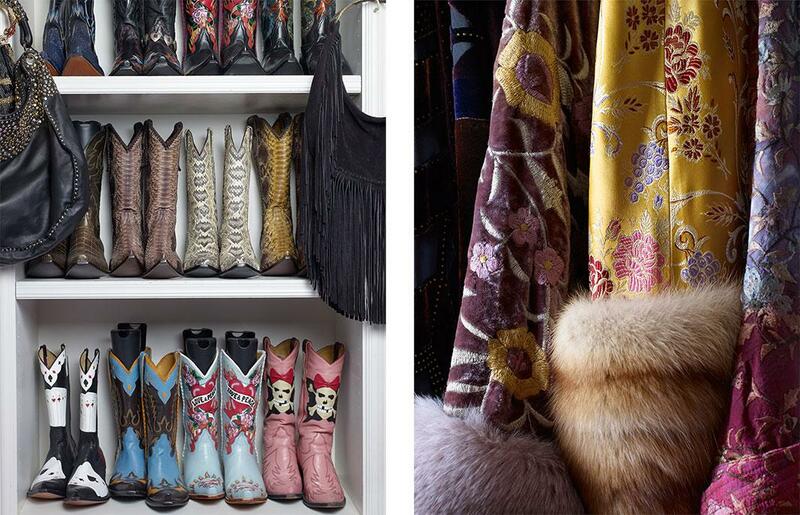 Left: Cowboy Boots, 2010-11. Right: The Closet No. 9, 2010–11. 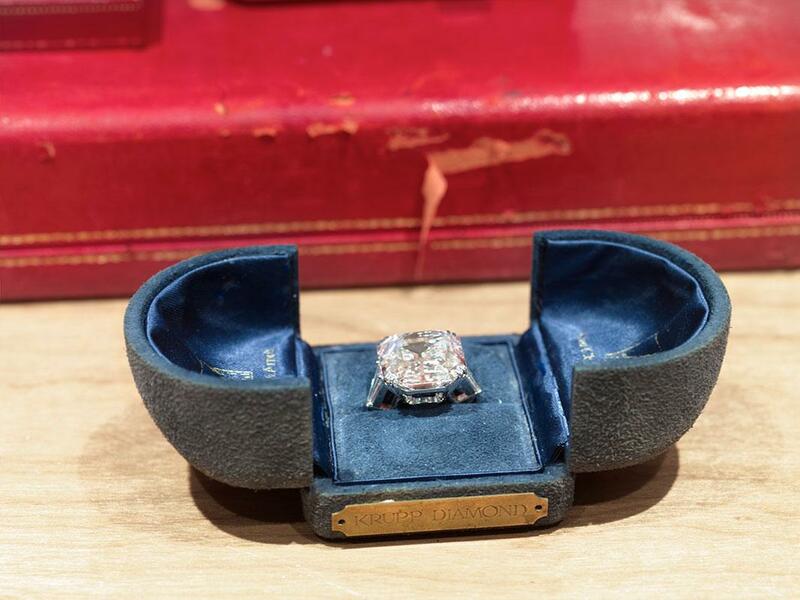 She also didn’t shy away from including the many ordinary objects and details that were mixed up with items that were far more extravagant; in fact, she embraced it. 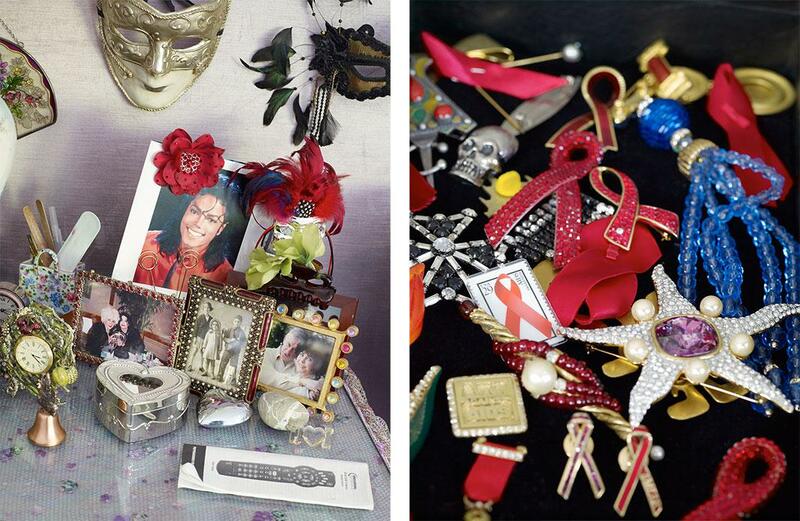 There’s a great shot of a table filled with framed photographs of Taylor and other celebrities including Michael Jackson, along with other knickknacks. There’s also a copy of a television remote control guide lying next to all of the opulence. Left: Bedside Table, 2010-11. Right: AIDS Activist, 2010–11. Opie began with 3,000 images and finished with 129. Although she wasn’t concerned necessarily about forcing a linear narrative on the reader, she wanted the reader to be able to learn about Taylor by jumping through various time periods and different facets of her life, so she structured the layouts accordingly: from the ornate Christmas ornaments than hung on the trees outside to Taylor’s cat Fang walking next to her Chanel shoes to the necklace with a La Peregrina pearl. Taylor passed away halfway through the project, and Opie questioned whether the work needed to reflect this. While growing up in Ohio, Opie had watched Taylor’s movies with her mom “in our cold northeastern Ohio basement” and said while she never was able to meet Taylor, working with her staff, specifically Mendelson, and listening to their stories about the actress helped her to create what she feels is a faithful portrait of the star. The Quest for Japanese Beef, 2010–11.